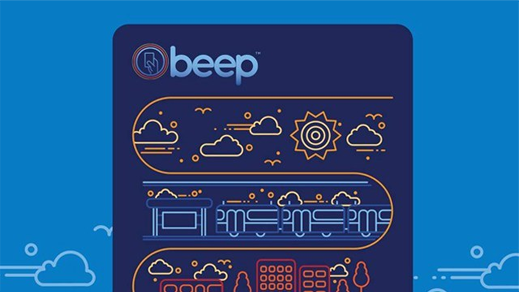 Manila, Philippines─ In a collaboration aimed at helping Filipinos skip the lines, Coins.ph, the leading digital wallet and mobile payments app, and contactless payment provider, beep™ card, launched a new function in the coins.ph app that lets commuters reload their tap-and-go beep™ cards using NFC-enabled Android smartphones. The new function enables commuters to easily and quickly load their beep™ card in seconds with funds from their Coins.ph digital wallet by simply tapping their card on their phone. Coins.ph digital wallets can be funded in over 33,000 locations nationwide. To enjoy the new service, users simply have to download the latest Coins.ph app in the Google Play Store and register or log in to their account. They can load as little as P10 on their beep™ card and there is no extra fee. As beep™ card’s first app-based reloading partner, Coins.ph brings with it the convenience of loading any beep™ card, anytime, anywhere. The partnership is directly driving the adoption of cashless payments in the Philippines. It is also expected to inspire enterprising individuals to earn additional income by providing beep™ card loading services to more than 4M beep™ cardholders to date. “Coins.ph provides beep™ cardholders the ability to load their cards anytime, anywhere just by tapping their card on their smartphone. This added convenience means no more falling in line to add load during the busy rush hour.” said Peter Maher, President and CEO of AF Payments Inc.
Coins.ph, licensed by the Bangko Sentral ng Pilipinas (BSP) as an electronic money issuer and remittance and transfer company, aims to foster financial inclusion and promote mobile payments in the Philippines. Having already reached 4 million customers, Coins.ph allows everyone including unbanked and underbanked customers to store value in their Coins.ph wallets, send money to family and friends, pay their bills, buy load and make payments across the Philippines directly from their phone. The beep™ card technology modernized payments in the transportation sector in greater Manila, before moving on to retail and lifestyle. It is accepted in all three elevated railways (LRT 1, LRT 2, and MRT 3), select bus lines, at CAVITEX and NLEX, and in select FamilyMart, Robinsons Movieworld, and Wendy’s branches. It is reloadable and valid for four years. More information about beep™ may be obtained at the website www.beeptopay.com and on Facebook, Twitter, or Instagram. Using Coins, customers have access to a mobile wallet and services such as remittances, air-time, bill payments, and online shopping at over 100,000 merchants who accept digital currency. Operating in the Philippines and Thailand, Coins' mission is to increase financial inclusion by delivering financial services directly to people through their mobile phones. AF Payments Inc. is a consortium of Metro Pacific Investments Corp. (MPIC) and Ayala Corp. that provides contactless payment solutions in the Philippines through its integrated product and service offerings, thereby enhancing the transaction experience of every Filipino. Its tap-to-pay system, the beep™ card, is available for use in all three elevated railways (LRT-1, LRT-2, and MRT-3), select bus lines, CAVITEX, NLEX, and at select FamilyMart, Robinsons Movieworld, and Wendy’s branches. The beep card is reloadable up to P10,000 and is valid for four years. Off-rail reloading options include select outlets of Bayad Center, SM Bills Payment, Villarica, Tambunting, FamilyMart, and Circle K.